While standing out on the south parking decks at ATL yesterday, I realized it was one of “those” moments. We were awaiting the arrival of the first Virgin Atlantic Airways jet to arrive at ATL. Not only was this the first Virgin aircraft to arrive at ATL, it was a Boeing 787-9! 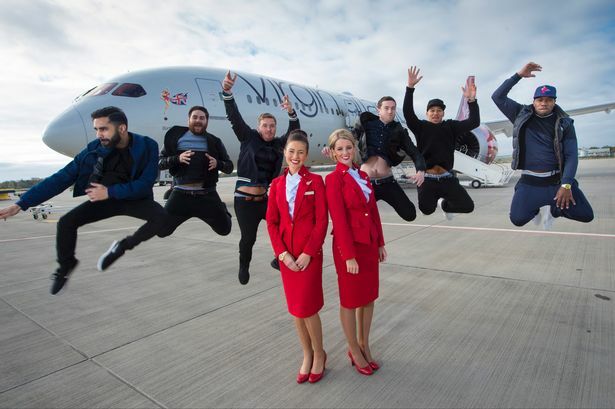 As reported from the official site for this special flight this will be the “first ever gig streamed mid-air from Virgin Atlantic’s new connected 787.” The flight featured performances by 2 of the UK’s hottest acts: Gorgon City and Rudimental. We have to say the SoundCloud performances (the London Mix was phenomenal) had us dancing, albeit from home. 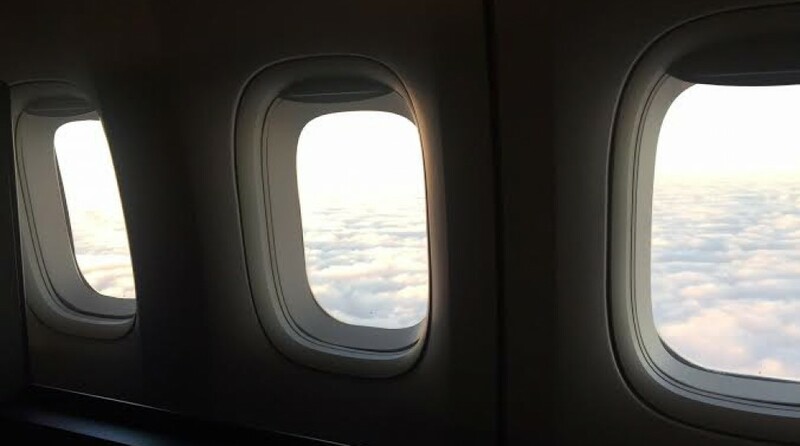 We weren’t lucky enough to be one of the lucky passengers on board. From the sound of things fun was had during the excursion from London to Atlanta! The Virgin brand has always been about what’s “in”, fun, hip, cool, chic, even edgy. Whether it’s marketing, advertisements, activations, the on board experience, or uniforms, they pay attention to every detail. Throughout the travel ribbon you know you’re traveling on Virgin. There’s a sense of excitement, journey, and adventure. Sir Richard Branson is the brand. He is all of the above and has done a bang up job making sure the brand remains intact. As Delta now owns 49% of Virgin Atlantic, it is our hope that the little airline that has stood up to the likes of British Airways and has carved out a niche, is able to retain its brand and not succumb to any pressures to be more mainstream. This is not the first time Delta has canoodled with a Virgin. Back in the mid-90s Delta and Virgin Atlantic placed their airline codes on certain flights between London (both LGW and LHR) and several US cities (LAX, SFO, JFK, EWR, BOS, MCO). 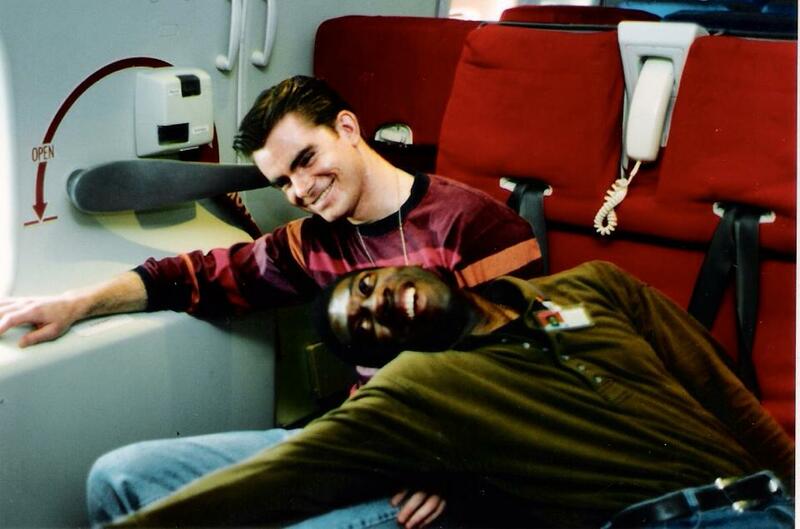 Back then Delta took the code-share arrangement one step further than placing their code on Virgin Atlantic flights: Delta actually had its flight attendants on board these code-share flights. I was lucky enough to have this experience and spent 2 weeks in Crawley, just outside of London, at the Virgin training facility. We spent a good bit of the time learning the emergency procedures required as a Virgin flight attendant. I even learned what a “torch” and a “loud hailer” were. Training was intense. We had to learn all about the different types of 747s. The 747-400’s were easier as they were standard. The “Classics”, the 747-200’s complete with spiral staircases, were all slightly different. One, G-VMIA (India Alpha), had 2 lower galleys. Highlights of the training included learning how to deliver Virgin-style service on board. They were meticulous in how to serve Virgin customers. I can clearly remember the instructor saying: “When delivering a beverage to a customer, place the drip mat (napkin) down logo facing up, facing the customer. Richard (Branson) doesn’t print these for the customer not to see the Virgin logo.” Wow! Simple concept. It’s all about the details. My friend CLiff and me at the Virgin training facility in Crawley. I even had the opportunity to meet Richard at his home in Oxford during one of the summer parties given for employees of the Virgin brand empire. We were standing near the front door of his home when he just popped out! I was taken with his unassuming and down-to-earth nature. We spoke with him for a few minutes letting him know we were Delta FAs flying the code-share flights. He thanked us for our work and then went into the crowd of hundreds who were in attendance. It was very surreal. It was one of “those” moments. Seeing the Virgin 787 land at ATL brought back many memories of my Virgin experiences. Many companies could learn a lot from Virgin on how to deliver a better experience for its customers. Looking forward to seeing their aircraft regularly grace the skies of Atlanta soon. Thanks for the memories Virgin! This entry was posted in Uncategorized and tagged 787, airlines, airplanes, airports, atlanta international airport, avgeek, avgeeks, aviation, aviation friends, boeing, crewlife, customer service, delta air lines, flight attendants, gorgon city, hartsfield jackson atlanta international airport, PaxEx, rudimental, Sir Richard Branson, Virgin Atlantic Airways. Bookmark the permalink.